A month has passed since I started working at e-Jan in April. Something I notice daily, is the good quality of the ‘air’ at e-Jan. I mentioned the quality of ‘air’ at e-Jan, but this applies to both meanings. 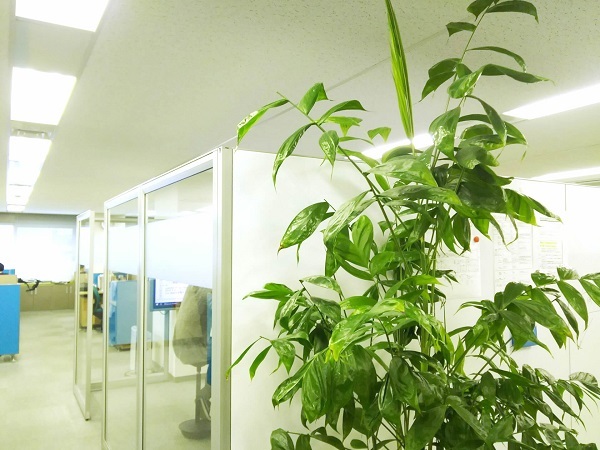 For the first definition, the air in the office is clean thanks to the Roomba vacuum cleaners that are cleaned on a weekly basis and operate automatically at night, and the air purifiers located throughout the office. For the second definition, the air can be felt from the many employees of differing backgrounds and nationalities all working and evolving together to make a better product. The feeling in the ‘air’ generated from this group of people is kind, and strong, and warm. I’m still just barely able to breathe in a lungful of this good air, but soon I hope to be able to contribute to this high quality of the air around me. I want to take deep breath, think ‘Let’s do our best today!’, and continue in my work.